Following are some of the congregational models now observable in and around the Messianic Jewish Movement. I say “around” because all sorts of barnacles have clung to the hull of this particular ship. See how many of these models you have encountered, and which ones do you think are good news and which bad news for the Messianic Jewish movement and for the Jewish people? In a couple of days, expect a follow-up posting with the rest of the list. Jimmy Swaggart with Yarmulkes – Such congregations really practice American charismatic Christianity with a thin veneer of Jewish culture added. Sacred Name Groups – These groups make much of their “discovery” that one must call God Yahweh, although other mangled pronunciations may also be found in the movement’s literature, and call the Messiah Yahshua, whose name is also further mangled by some in the movement. The Sacred Name began in the 1930is within the Church of God (Seventh-Day) claiming to conform its Christianity to its “Hebrew Roots” in practice, belief and worship. People such groups also generally keep many of the Old Testament laws and ceremonies such as the Seventh-day Sabbath, Torah festivals and kosher food laws, but in a manner bearing little if any resemblance to Jewish norms. A number of Bibles are floating around promulgating the Sacred Name philosophy. These groups are basically gnostic, imagining that if one only knows the “secret” they know, and employs it, one will have greater power with God. The names and spellings they concoct reveal that the leaders in this movement have no real facility with the Hebrew language. They get their Hebrew terms and arguments out of the appendices of Strong’s Concordance, while lacking any knowledge of Hebrew grammar and syntax. There are some in the Messianic Movement who wrongly imagine they have the “right” to say God’s Sacred Name, imagining that “the rabbis,” which they use as a pejorative term, have “no right” to “forbid” its use. This is like someone putting his feet up on the dinner table because he denies anyone else the “right” to tell him what to do. At best, this is poor spiritual manners. Post – Inquisition Congregations: There is a strange teaching around that says that if you are Hispanic, and you have an “S’ in your last name, you are a descendant of hidden Jews in the Inquisition, and you are really a Jew. There are congregations of such people. With all due respect, having a relative 500 years ago who was Jewish, does not make you Jewish. Such people will need to undertake communally designated steps to lay rightful claim to the status they covet, often, conversion. And often, this mentality is combined with the Two Houses teaching. One New Man – This is a biblical term, a good term, misinterpreted by some who believe that in Messiah there is no longer such a thing as a Jew or Gentile, but all Yeshua believers are now fundamentally the same, and that we are called to construct congregations where the distinction between Jew and Gentile is not maintained or considered “spiritual.” This is a survival of a viewpoint first promulgated in the second century document, “The Epistle of Diognetus,” which postulated Yeshua believers as “a third race,” neither Jew nor Gentile. When looking at the relevant passage from Galatians 3:28 which states, “There is neither Jew nor Greek, there is neither slave nor free, there is no male and female, for you are all one in Christ Jesus,” one must remember to ask, “In what sense is there neither Jew nor Gentile?” But to say that Jews and Gentiles are no longer different is like saying that the male-female distinction no longer applies. But that makes no sense. This bears no resemblance to the Apostolic teaching. The One New Man Paul speaks of in Ephesians 2:15 is that new community comprised of both Jews and Gentiles who live in reconciled harmony despite the fact that they are and remain essentially distinct. The miracle exists because the distinction is maintained, not because it is obliterated. Lowest Common Denominator – These are congregations that practice a kind of Judaism-lite, but by design, not really a Judaism, but a community with enough Jewish religious cultural flavoring for everyone in the fellowship to embrace it, enjoy it, practice it. It’s really Protestant Christianity with a tallit, and it is not Messianic JUDAISM but rather Messianic Jewishism. Messianic Judaism requires a deeper adherence to the communal boundaries, protection and reverence for covenantal markers given to and reserved for the Jewish people, and commitment to covenantal living, as well . Hebrew Christian Fellowships – Closely related to the above, these are groups where Jews and Gentile Christians get together to honor God in some superficially Jewish ways, but not too deeply. Such groups may also have Christmas trees, and meet for convenience on Sundays. Torah living has no authority in such contexts, but there is a veneer of Jewishness for cultural reasons. Arthur Murray Goes to Tel Aviv – These are congregations where the main expression of “Jewishness” is music and dance. There’s more coming. Give me a couple of days! Meanwhile, discuss! Stuart, I’m in Israel for the month. It seems there are a lot of Hebrew Christian-type fellowships here. Can you recommend any congregations here? Judahgabriel@gmail.com if you’d rather email the answer. I fear your list eliminates virtually all Messianic congregations; your ideal congregation type, which is not difficult to gather from previous posts, is largely theoretical. As you will see from my follow-up posting, the alternative I propose is not entirely theoretical, but is rare. Part of the problem for the movement is that there is lack of awareness of two things: (1) For what unique purpose did God raise up the Messianic Jewish Movement? This question remains almost entirely unasked and unanswered, or is answered reflexively with answers that do not satisfy the demands of the biblical data, and (2) What kinds of congregations do we now in fact have as a result of having failed to rightly ask and answer the prior question. 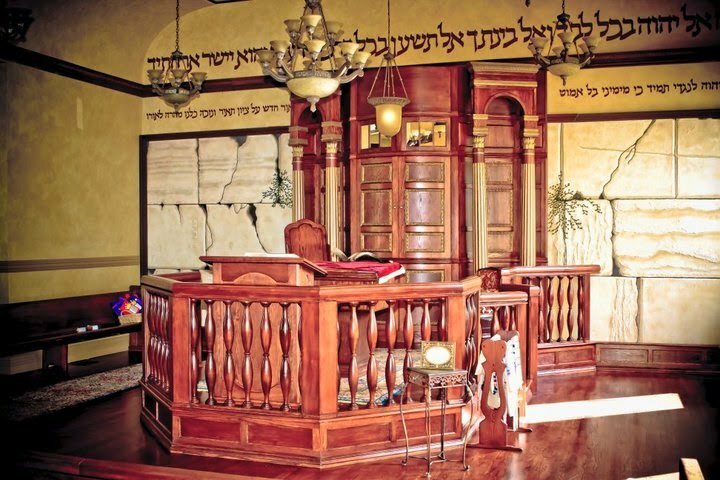 My postings on “What Kind of Shul and M?” are designed to help rememdy this situation. I just spent over an hour discussing these alternatives with a Messianic Jewish congregation in Chicago which will then go on to further discuss and process the questions I am mentioning here, as a precondition to planning their future. You’ve neatly and humorously laid out the various “brands” to help us see ourselves clearly. May we now see ourselves clearly and conform ourselves to the will and purposes of Hashem, to the glory of Yeshua, so be it.